Just 23 Kilometers north of Rockhampton, the Capricorn Caves are the perfect place to chill out. These magnificent caves are a natural wonder and a popular local attraction. Explore spectacular limestone caves and spot the fascinating wildlife that call the caves home. Learn about ancient geological history, the early pioneering explorers of Rockhampton and more. Possibly the most popular part of the Capricorn Caves is the Cathedral Cave Tour - known as the Cathedral because of it’s incredible natural acoustics - it’s also wheelchair accessible. If you have a group to book with think about doing one of the amazing night tours. It’s actually a popular destination for weddings and the Opera comes to the Cathedral Caves twice a year. 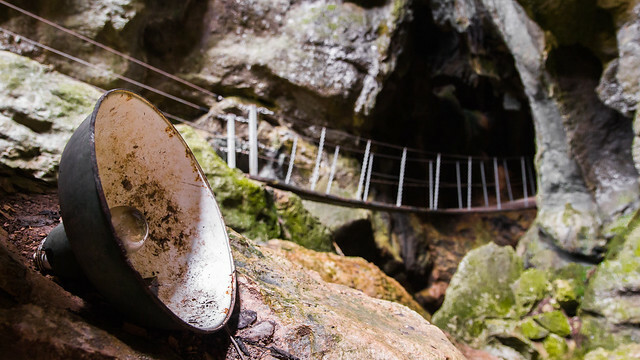 For the adventurous there are wild caving tours where you can explore the subterranean kingdom or take an adrenaline charged abseiling challenge.